Behind the scenes of [ TACT : Collection M O N O ] photoshoot with HONEYZ PAINT HOUSE! So.. you think a photoshoot is all glamourous, outfits after another and just a matter of 1-2 hours? A couple of weeks ago, we had the opportunity to head to Honeyz Paint House for our very first studio photoshoot! Located at Primz BizHub at 21 Woodlands Close, Honeyz Paint House is the brainchild of the peeps who brought you Honeyzcube! With a huge space to explore, white walls, ceilings, curtains and full length windows all around to ensure the best natural lighting for photoshoot, this place is simply paradise for anyone, everyone! Be it photoshooting for a blogshop's new collection, a family photoshoot or simply a photoshoot with your bestie, this place should be your first choice because honestly, they have so so much to offer! 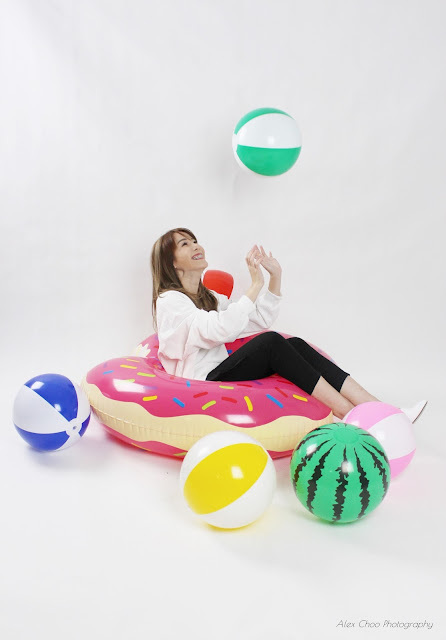 From cute donut floats, to colourful beach balls, to a Cinderella garden inspired swing area, donut cushions, beautiful tea sets and a princess couch; these are just props/spaces for the photoshoot! They even have spaces for anyone who is keen in organising workshops, presentations, launch parties, get togethers and casual functions! Really! Check out the following photos taken at Honeyz Paint House! 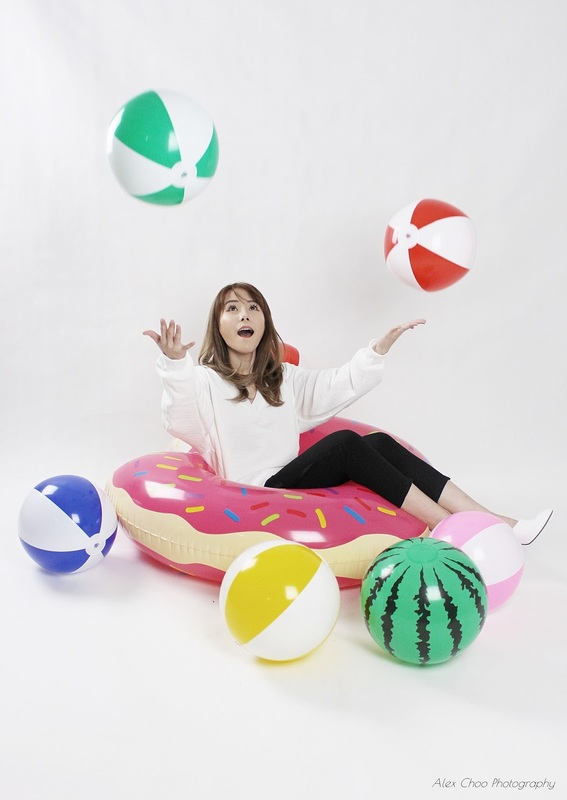 Of course, they have a space for studio shoots too! With a variety of different background/colours to choose from and a professional in-house camera man there to help you, you can be assured that you are ALWAYS in good hands and you will have gorgeous and professional looking shots! We really love the lighting for our studio shoot at Honeyz Paint House! On to the fun part of the shoot! 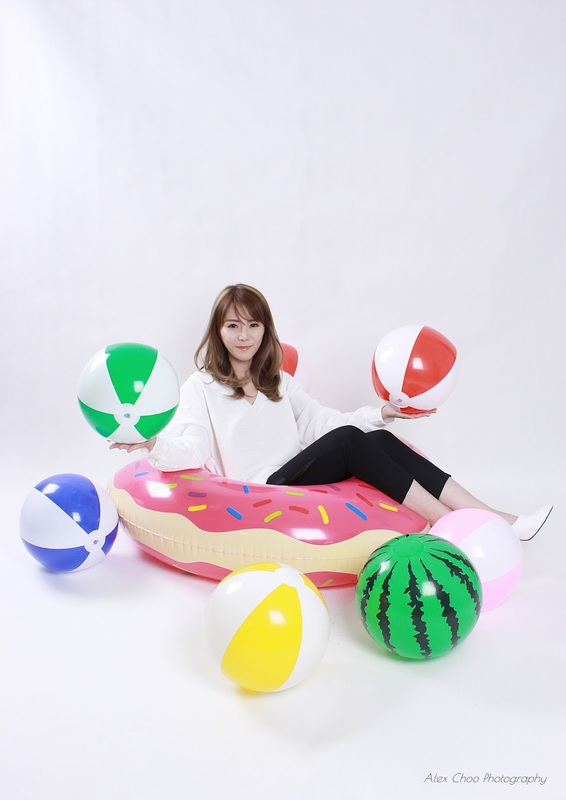 Using the very cute props by Honeyz Paint House for our photoshoot! It was a truly tiring yet fruitful and fun day! So if you are thinking of where next for your upcoming party/function/workshop/photoshoots, why not give Honeyz Paint House a chance to prove to you that there CAN be fun whilst at work? Quote my name 'AGGYLOW' for 10% off any Honeyz Paint House rental, photography and videography services! 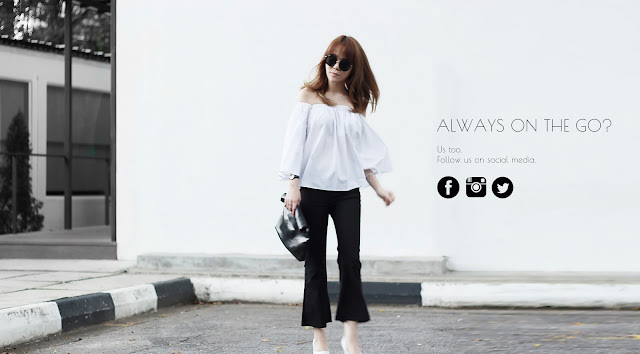 All apparels featured in this post can be found online at TACT.sg. Do follow us on Instagram, Like our facebook page and Join our mailing list! I know as a model and a stylist photoshoots are hard and can last all day. It can get stressful and a bit too much, but when you see the final photos it is all worth it. :) Great job there, looking forward to see more! Love how these turned out, your photos are lovely! Great post!